The Revolutionary Patent-Pending Tamper Proof Trolley Design provides Peace of Mind and Added Security to Prevent Forceable Entry. Never replace the light bulb again. Lifetime energy efficient LED is equivalent to 72 watt tungsten light bulb. 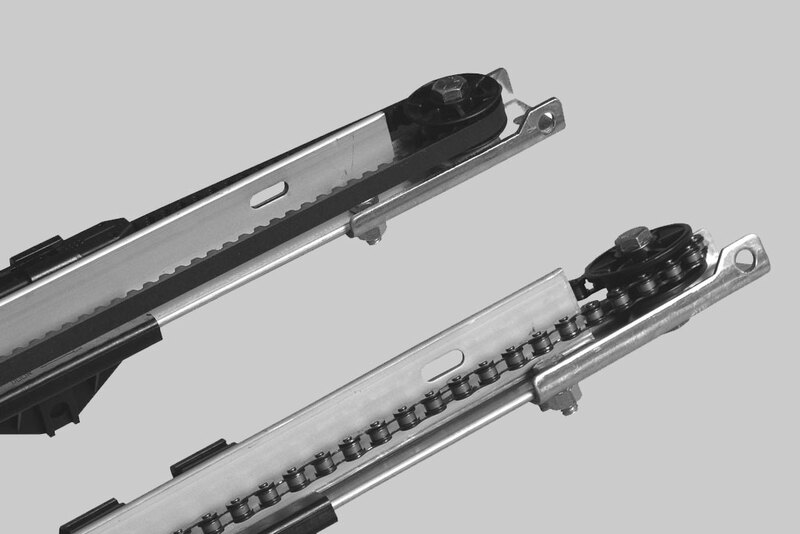 The Garage Door Openers are available with either Durable Chain Drive or Steel-Reinforced Belt Drive. 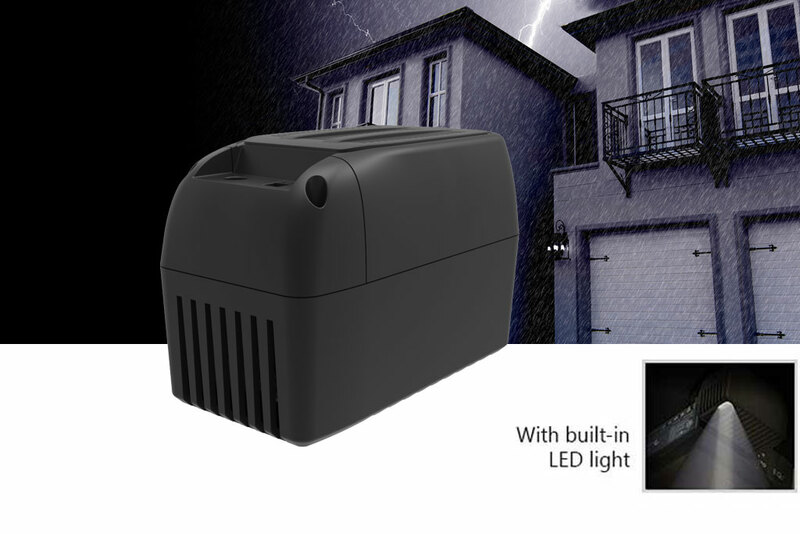 Skylink’s back-up battery unit offers peace-of-mind to homeowners who want to be able to operate their garage door opener during a power outage. Skylink carefully and strategically developed ATOMSTM to be suitable for the professional and retail markets. With a compact and light-weight design, professional partners will find it very economical to transport and store and retail customers will discover the effortless DIY installation experience. 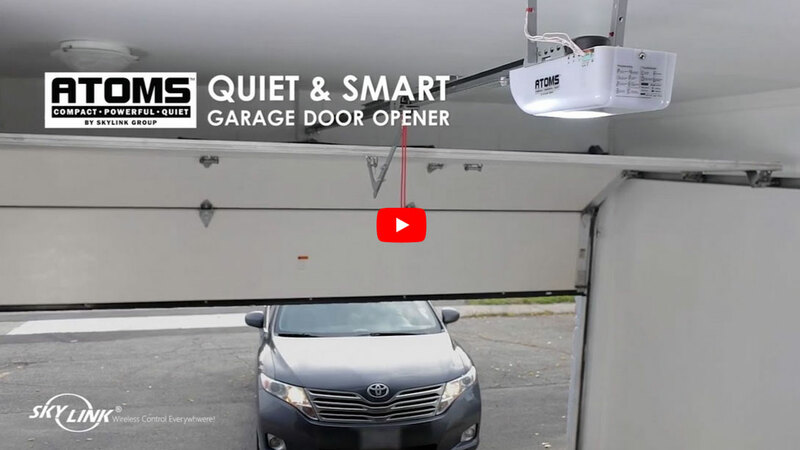 It is a major breakthrough in the garage door opener market. The DC motor offers additional benefits with very quiet operation and much less vibration. It is ideal for garage doors that are below a living room or bedroom. The DC motor also offers the soft start soft stop features, which reduces the vibration and wear and tear of all the mechanical parts. 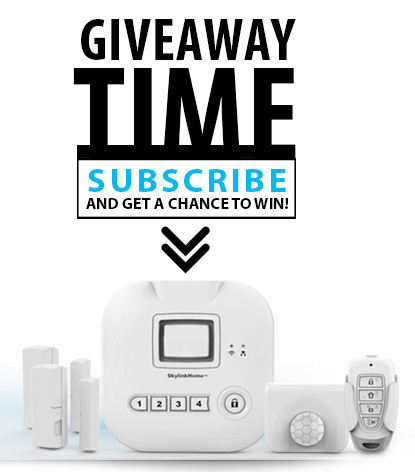 Use you Smartphone to monitor and control your Garage Door Opener. 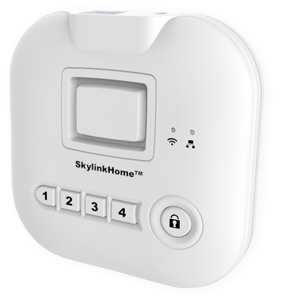 Expand your home automation with the SkylinkNet hub. 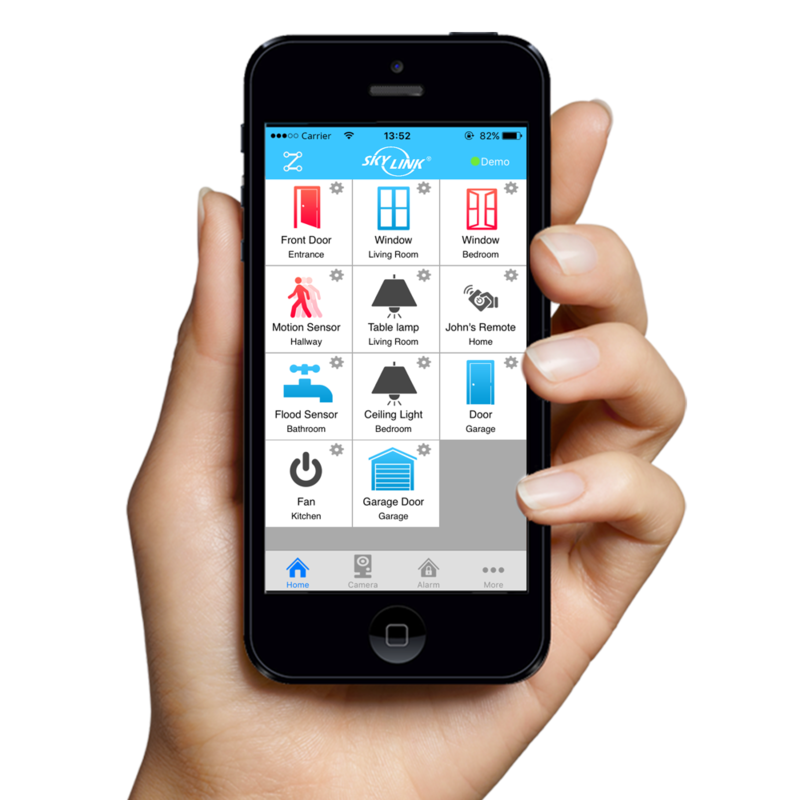 Control & Monitor your Garage Door Opener with your Smartphone. Economical and efficient. Easy DIY installation of this practical garage door opener will get you in and out of your garage quickly and safely. "When we installed it we were impressed with the looks and compact size, the installation and programming was simple enough and using the LED display was a bonus. The motor was surprisingly quiet and smooth. Overall it’s a great value and the support from Skylink is excellent!" "We have used the Skylink openers for a while and more so now as they are offering a real value for the quality and reliability provided. Nice look and compact, easy to install and program and full of features, but most of all it’s the very quiet operation of the motor. Service and support is always just a phone call away." 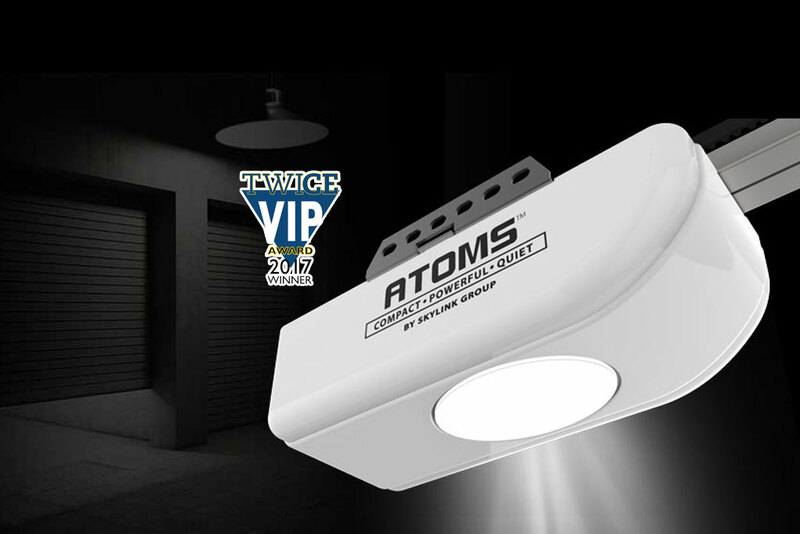 "I am satisfy and recommend ATOMSTM Garage Openers to my customers. The outlook is good, compact with bright LED lights. I believe that is one high quality and sustainable product with affordable pricing. I always have it installed without any major problem." "We have been using the Skylink operator for 6 months now. It has filled the niche for a economical base level operator. Our installers have praised its ease of installation, and our clients have been pleased with the performance"
"Recently I installed a new garage door and a Skylink ATOMSTM garage door opener for a new customer who was referred by a previous customer. I do most of my business by referrals, so a happy customer is very important. 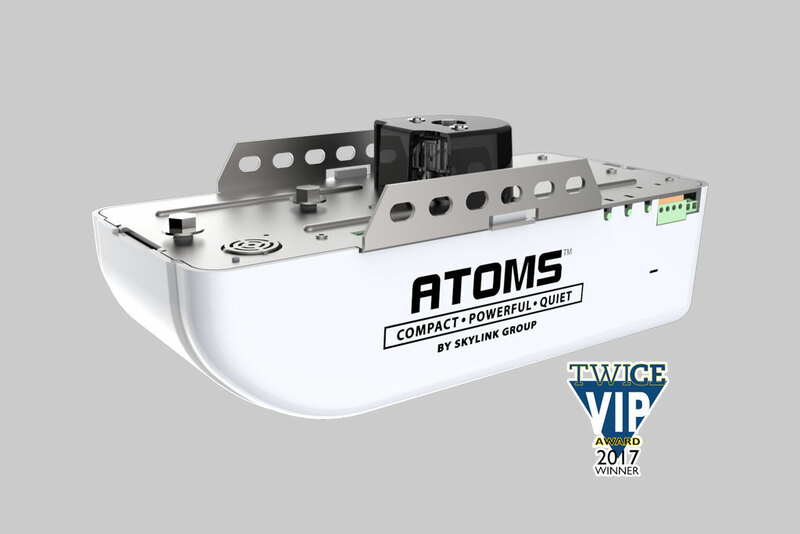 I have had nothing but praise about the new Atoms opener from this customer that he referred two of his neighbours who were impressed by how quiet the new opener and how important it was because the garage is under a bedroom. I found the compact size easy to handle and install and the programming was simple and fast. I believe that this opener is by far the best value on the market for performance and quietness and customer satisfaction. Good customer services, especially Mr Frank C replied my call after 7.00 PM"
"I have installed many Skylink Garage Door Openers for my customers. I have never had a major problem with reliability concerns on Skylink’s openers. My customers have always been satisfied so that I would recommend to field experts as far as affordability and sales service & supports. This is a right choice that you can’t go wrong." "The Skylink garage door opener is by far the best value for the money. Our customers love its smooth and quiet operation; our installers love the ease of installation"
"There at Budget Garage Doors, we offer our customers Skylink products due to their reliability. In addition to reliability their products are dependable and customer friendly to use. The garage door openers are quiet and this is a major factor that customer look for when shopping. We will continue to offer our costumer Skylink products with qualities as they have today." "If you’re are looking for a durable and dependable garage door opener then Skylink is the right product for you. The openers are easy to install and operate very smoothly. Whether it be the chain-drive model or the belt-drive model, Skylink openers are the quietest operating openers we have ever purchased. When we install Skylink garage door openers we have peace of mind knowing that we are providing our customers with a top quality product that will give them many years of trouble free operation." "I've been using skylink garage door openers now for the past year and I'm impressed with the quality and performance of each and every unit that i install the openers are easy to install and very quiet .my customers are happy with the skylink garage door opener, and that's good enough for me." "I use these openers for 4 years, they are very quiet and reliable. In my opinion this is the best opener value for money on the market. "customer look for when shopping. We will continue to offer our costumer Skylink products with qualities as they have today." "We have been installing Skylink’s garage door openers for over two years and find them to be very easy to install and program, and feel they give our customers a worry free and dependable operator that will last for many years."